Now, here I am, seven months or so later, and I can't believe I have actually hit this amazing mark myself. Thank you SO much to everyone who has taken the time to hit that little "follow" button this year. You guys have cheered me through so many milestones, and you've enriched my life in so many ways. I cannot imagine the fun and fantastic chaos that would occur if we were all somehow able to converge together on one spot. Best conference / frat party ever! "In 1982, Rachel Smolker traveled to Monkey Mia, a remote spot in western Australia where she’d heard wild dolphins regularly interact with people. She had no intention of staying long; she simply wanted to see if the rumors were true. That initial trip changed Smolker’s life; it commenced a fifteen-year scientific obsession that has culminated in this fascinating scientific adventure story–the first-ever intimate account of dolphin life in the wild. "To Touch A Wild Dolphin is a seminal work that radically alters our fundamental understanding of these enigmatic creatures. Learning to identify scores of dolphins by their dorsal fin, Smolker and her team of scientists were able to conduct close and consistent studies that revealed the dolphin to be even more intelligent than we’d previously suspected. And while they were every bit as playful as we’ve known them to be, they also proved to have a dark and alarmingly violent side. But more than just a document on dolphins, this book is a touchingly personal look at the life of a scientist, at the rigors and sacrifices but also the wonders and joys of unending days in the field. Written with prose poetic and pristine, this book is nothing short of a landmark." If you'd like to enter my giveaway, please leave your email address in my comment form. I will keep comments open until Saturday, November 5, and then I will randomly generate a winner from Random.org. 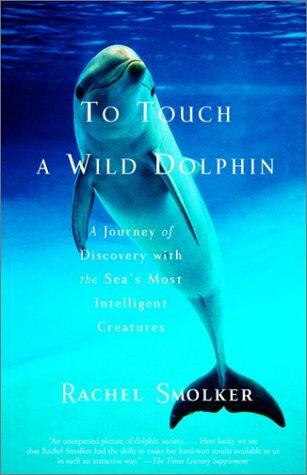 The winner will receive a sparkly new copy of To Touch a Wild Dolphin! Thanks again to all of you for taking the time to stop by and support me this year. I appreciate it more than you will ever know. Written by LisaAnn On November 3, 2011 In "200-follower", "Dolphin", "below the surface", "blog giveaway", "lisa ann chickos", "lisa ann o'kane", "lisa ann okane", "rachel smolker", "to touch a wild dolphin"